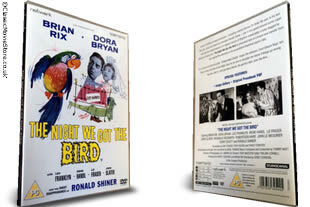 The Night We Got The Bird DVD. DELIVERED FREE IN THE UK when you spend over £15. A host of British comedy stars - including veteran comic Sir Brian Rix and, in his last film role, actor and stand-up comedian Ronald Shiner - star in this comic shenanigan following the misadventures of a woeful bunch of Brighton-based petty crooks. The Night We Got the Bird is presented here in a brand-new transfer from the original film elements in its as-exhibited theatrical aspect ratio.